We are cleaning house and marking down some items to make room for the new spring collection. Come by and take a look – our sale items go pretty quick. Remember, we are now open on Saturdays! We actually have a pair of these little settees. They look great together or on their own where you need a little extra seating – maybe at the end of a bed, a small sitting room or a staircase landing. 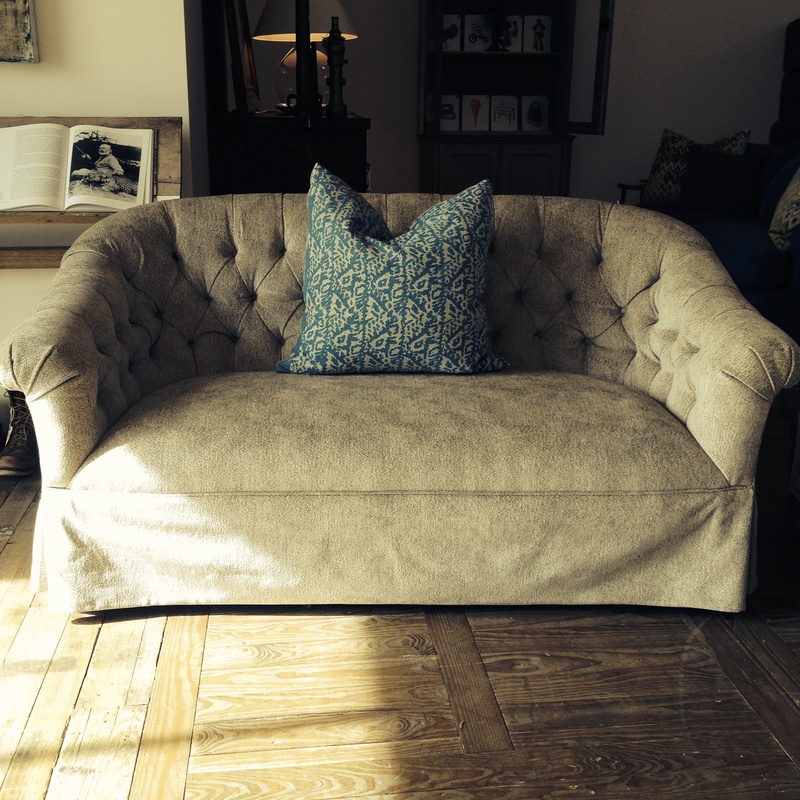 Upholstered in a swedish blue belgian linen, designed by John Derian for Cisco Brothers. These chairs are one of a kind, or technically two of a kind since we have a pair. 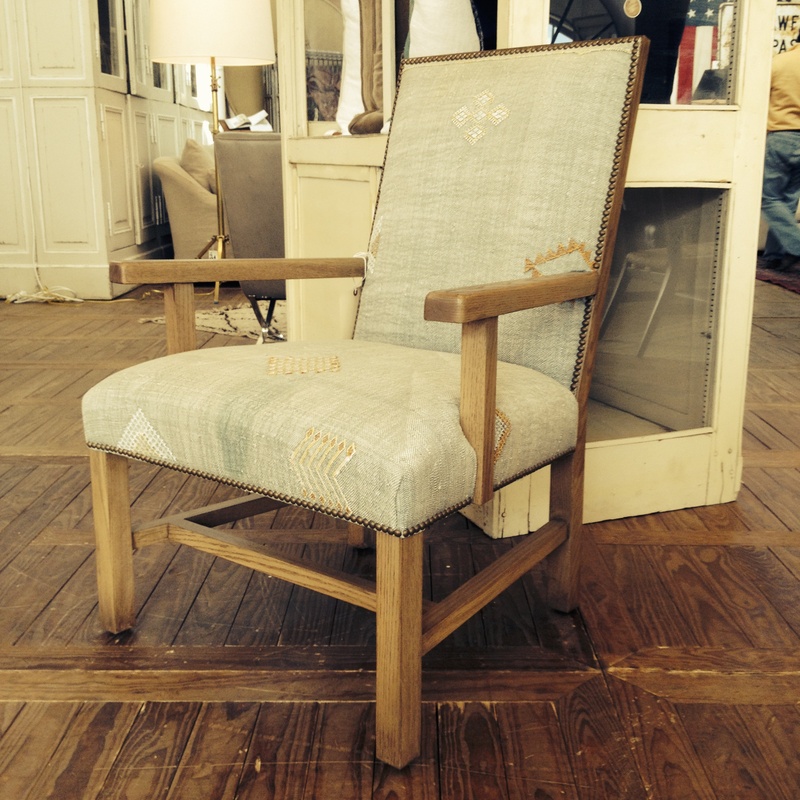 The are upholstered in a faded blue antique wool rug on the seat and front, but the back is woven webbing – so cool! 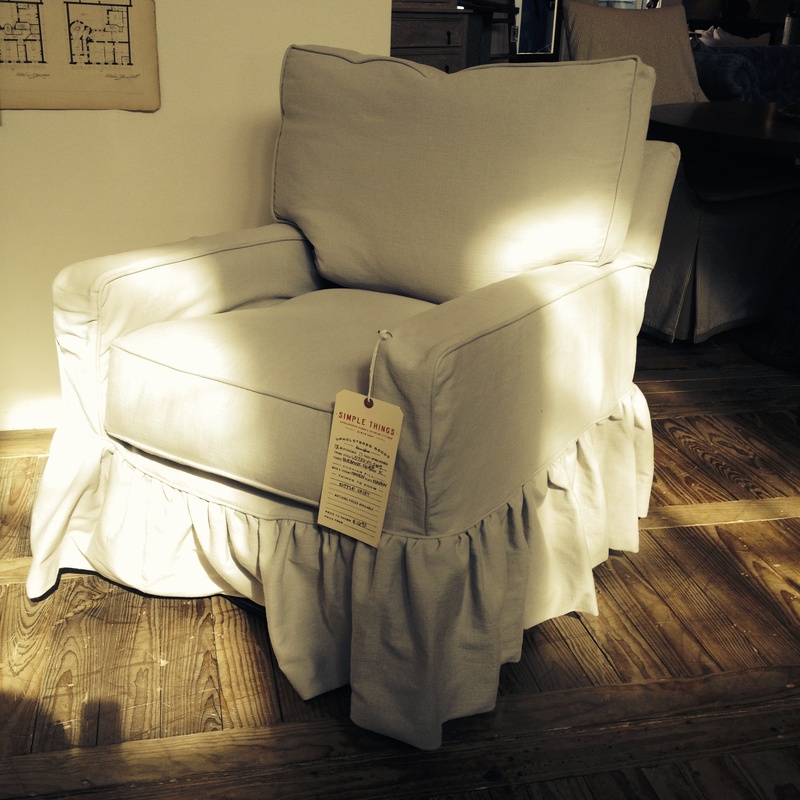 This is a swivel glider slipcovered in a washable pale grey cotton. Super comfy with down backs and a down wrapped seat. A great chair for a living room, sitting room, or nursery. 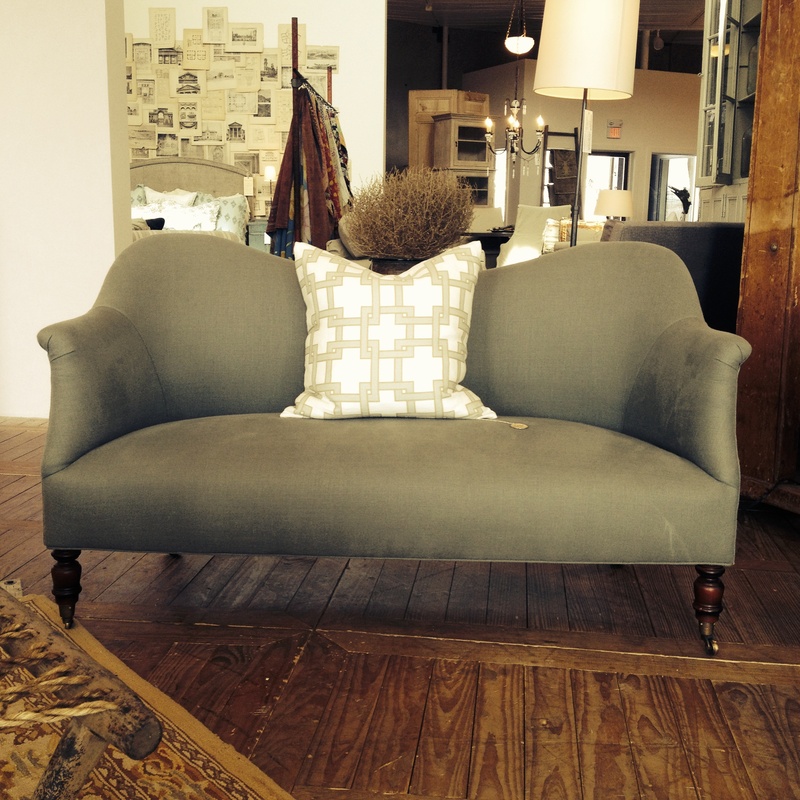 Here’s a tufted back loveseat upholstered in velvet with a tiny print. Great scale for sitting with a sofa or as seating in a bedroom. 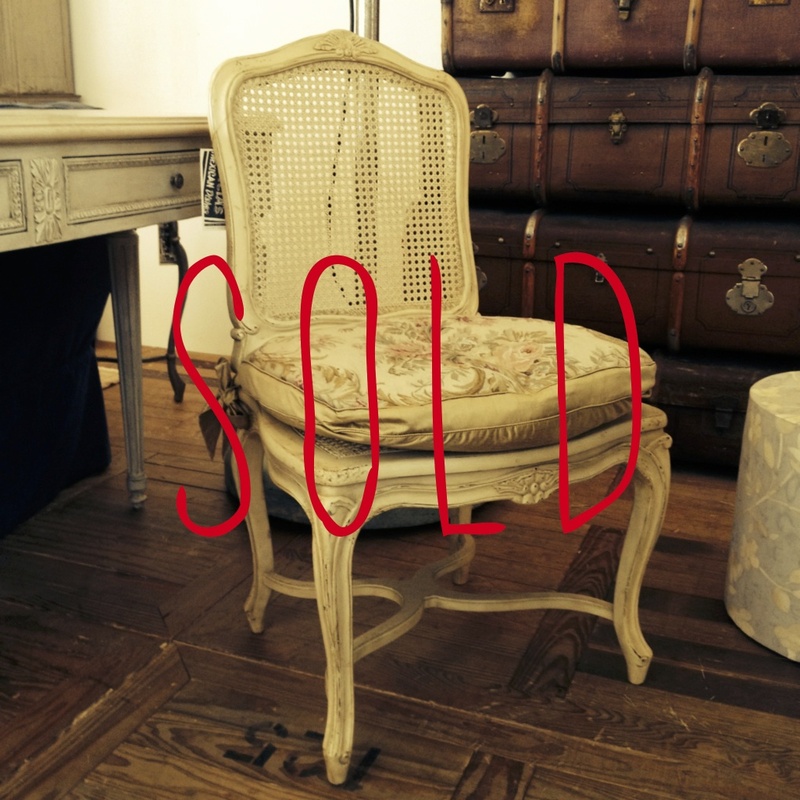 We have a pair of these french side chairs. They are painted with a creamy distressed finish and have a floral needlepoint cushion. 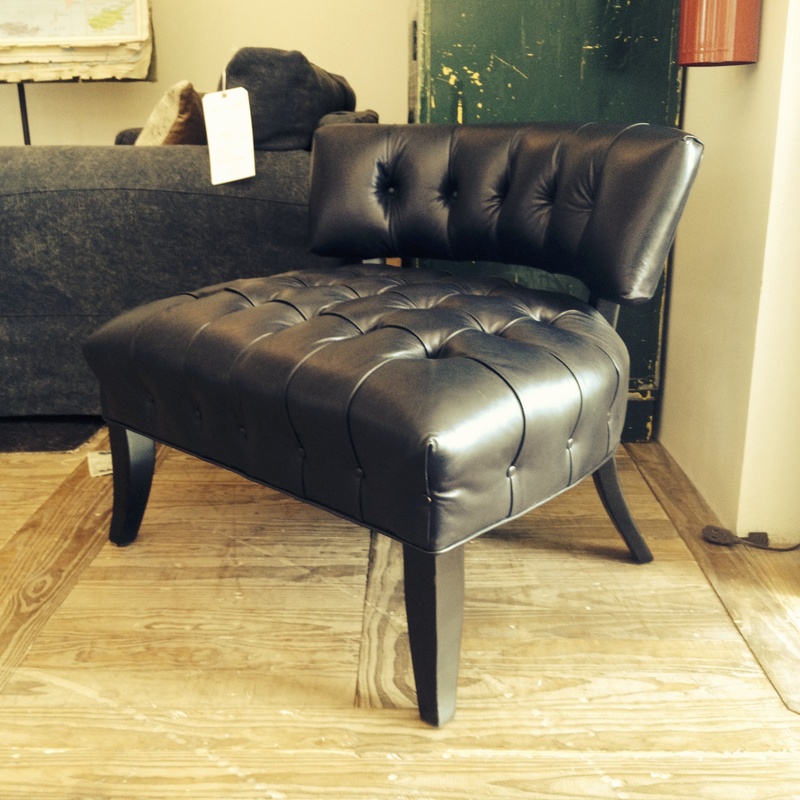 This is a black leather gentleman’s chair. Great for a little extra seating in an office or a modern loft. 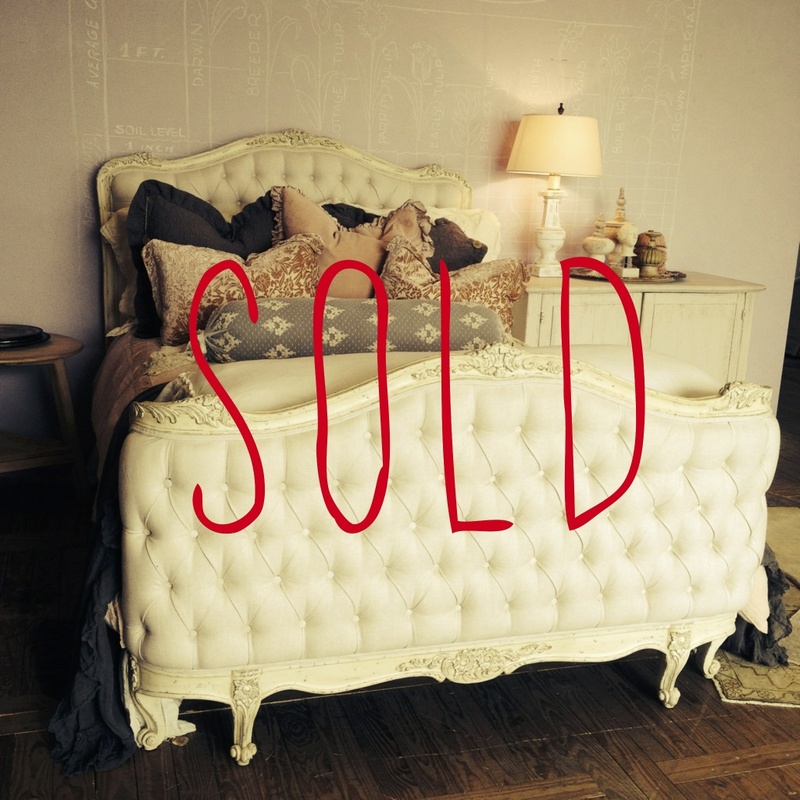 This is a queen size bed frame – upholstered in a pretty neutral linen with tufting and wood trim painted in a distressed cream. Very french – oui? 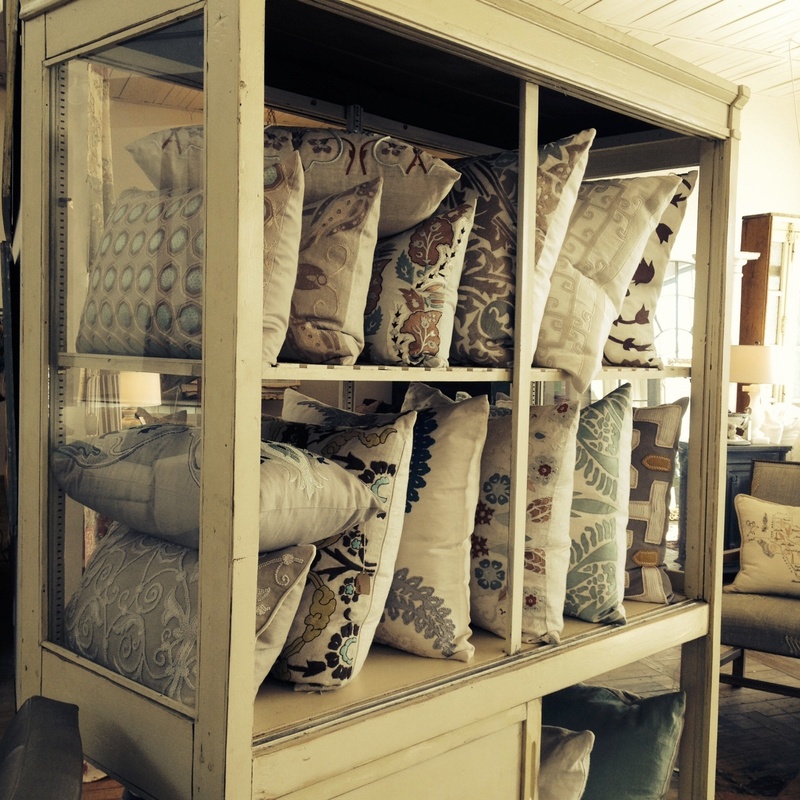 Last but not least – We have a few of our pillows on sale. This is a line of really unique embroidered pillows. Mostly neutral colors with little pops of soft turquoise and robin’s egg blues on a few.